Image: Gallo Images/City Press/Muntu Vilakazi HHP died on Wednesday afternoon. 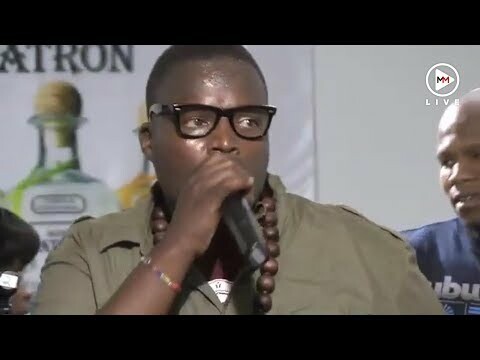 The death of Hip Hop icon Jabulani Tsambo popularly known as HHP has shocked the social media community. Heavyweight industry players spoke out about their heartbreak at the loss of the star. “Just heard the most terrible news ... another icon gone too soon,” he said. Nyovest shared a video of him giving thanks to the late icon on stage at the Fill up FNB stadium concert in 2017 for mentoring him since he was 16 year old. This was right after the two had performed their hit single ‘wa mo tsebo mtho’ to thousands of fans. “#RIPHHP Depression is a silent killed,” tweeted @Tebza_sponge. @Karabo_Masela tweeted: Depression is real. A conversation the black community needs to start having. Sad day indeed. Just heard the most terrible news ... another icon gone too soon. ? HHP's protégé, Cassper Nyovest shared his disbelief and heartbreak over the news. This can’t be true. No ways ? Fellow rapper Rouge described 2018 as the darkest year for the hip-hop industry.